Over the past ten years Pensacola's downtown has undergone a transformation which has produced a vibrant and dynamic destination to live and play. Quint Studer and a handful of others have had a significant role in shaping and funding this new vision that has now taken hold with many other builders, business owners, and entrepreneurs. The development of new housing and the renovation of existing structures has reached a feverish pitch with no less than 300 units slated in 2018 with more new plans emerging monthly. The diverse price point of new construction in Downtown Pensacola neighborhoods offer homes, condominiums, and townhomes ranging from $200,000 to $700,000. These featured real estate developments represent a sample of the kinds of residential buildings that have broken ground and are currently under construction. Covington Place in North Hill is a 25-unit gated townhome community with two or three-bedroom residences. These homes are built in a classic architectural design to mimic the beautiful architecture found in the historic district of North Hill. They will have ten-foot ceilings, fireplaces, chef kitchens, and an option for one or two car garages. Prices for these town homes are in the $500,000 range and will be located at 26 West Cervantes. This $35 million-dollar development at South Ninth Avenue and East Romana is directly north of Admiral Mason Park. This development is planning a combination of retail, restaurants, and condominiums. Construction will proceed in two phases; the first phase will be on South Ninth Ave consisting of a three-story building that will house 12 condominium units, retail space, and a restaurant. The second phase on East Romana Street will consist of a three-story 27-unit, condominium complex. This project has thirty townhomes that are beinng built on the site of the former W.A. Blount Junior High School. Bounded by D Street, C Street, Gregory St, and Chase St, these homes are affordably priced in the low $200,000s and are a great investment as a rental or personal residence. 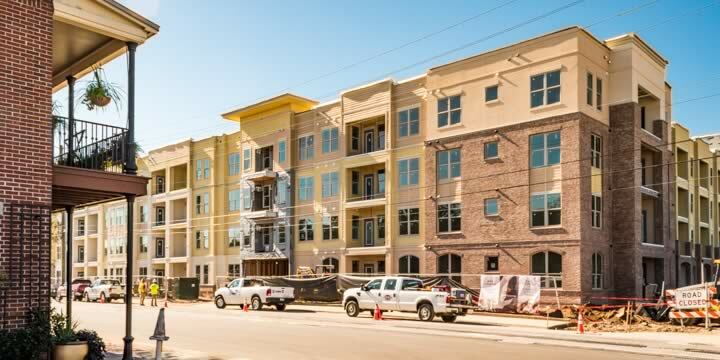 The Junction at West Hill is a mixed-use development that combines townhomes and commercial space and is very close to Downtown Pensacola in the Belmont-DeVilliers neighborhood. The 32 gated townhomes have prices that start near $225,000. The architectural designs range from a spacious indoor loft to floor plans that feature large outdoor decks. All of this is within easy walking distance to all the local downtown restaurants and businesses. DR Horton's new downtown luxury townhomes with all the upgrades. 3 bedrooms, a garage, and a very desirable location. 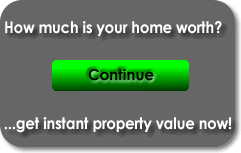 Two floorplans are offered with either 1,551 or 1,567 sq ft. Priced from $275,900 to $285,900. The Warfield Condos (Old City Tract) The Warfield is a ultra-luxury multi-use condo complex located in Seville Historical District. Amenities include all the interior upgrades, a private pool, storage units, outdoor kitchen, and dedicated parking spaces. Within walking distance to the Pensacola Wahoos Stadium, Palafox Street, and the YMCA. Priced in the high $400,000's for a two-bedroom unit. The availability of these Downtown Pensacola residential opportunities is constantly in flux as units sell and new real estate developments come on the market. Check back for updates and call Justin Nicholas, Emerald Coast Realty, the downtown new construction specialist, 850-437-5618.